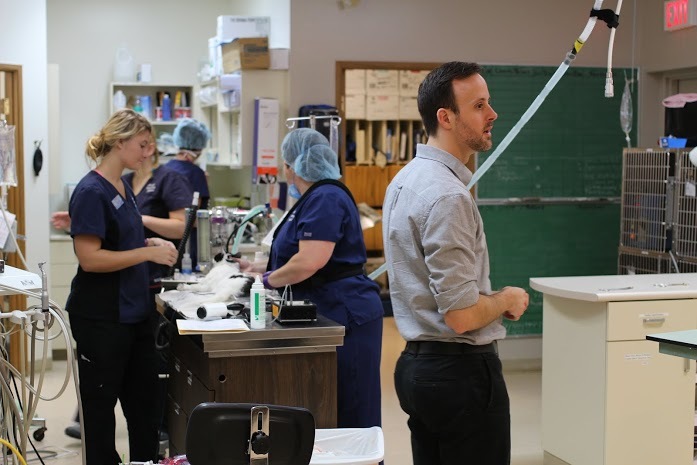 This month, we teamed up with Paws for Hope and Scottsdale Veterinary Hospital in Surrey to provide a day of free health checkups and spay/neuter services for 30 cats from low-income families in that area. With the formation of the new Surrey Community Cat Coalition and the great outreach work that group is doing, word is starting to get out about the cat overpopulation crisis in Surrey. Initiatives like this “Spay Day” are important steps towards solving that crisis. Our low-income support services are somewhat small due to our limited resources but we recognize this as a key area to focus on to help end the suffering of cats in our communities. And let’s not forget the humans! We know how much positivity cats provide their owners with. They are a source of love, acceptance and companionship, things that everyone deserves to have, no matter their economic situation. We at VOKRA are all about responsible pet ownership but we also understand that finances can sometimes challenge even the most responsible pet lover. We would love to be able to support more events like this, helping address cat overpopulation at its root and curbing it where it starts. On September 28th, VOKRA volunteers gathered up our carriers, picked up the 30 eligible cats and took them to Scottsdale for their vaccinations. 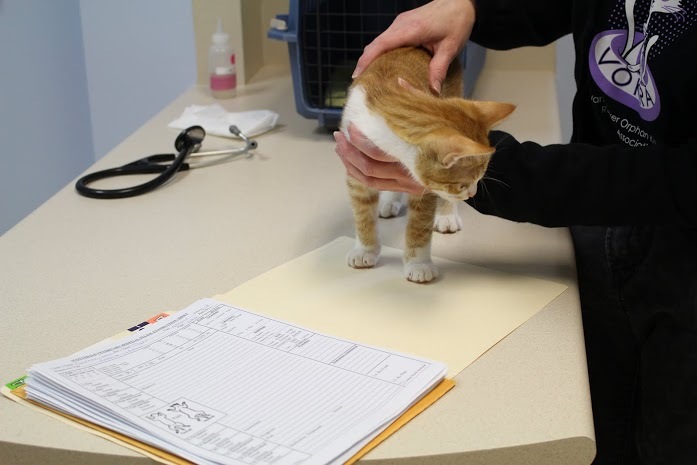 On November 2nd, we picked up the cats again and took them in for their spay/neuter surgeries before returning them that same day to their grateful owners. Great effort, team! A special word of thanks is due to our amazing volunteer Laura who continually goes above and beyond to support low income pet owners and their feline friends. Thank you, Laura! We are so lucky to have you. Take a look at some of the beautiful cats, the hardworking veterinary staff who donated their time and services, and our amazing team of volunteers in action! Whiskers is a formerly feral kitten. His owner used food to socialize and tame him. Whiskers was a sweetheart and even gave our volunteers kisses! Dr. Shawn Llewellyn of Paws for Hope gets ready for a busy day along with five other veterinarians, technicians and our VOKRA volunteers. Tigger is here for his vaccination booster. Tigger is too young for surgery but we’ll bring him back when he’s five months old to be neutered. 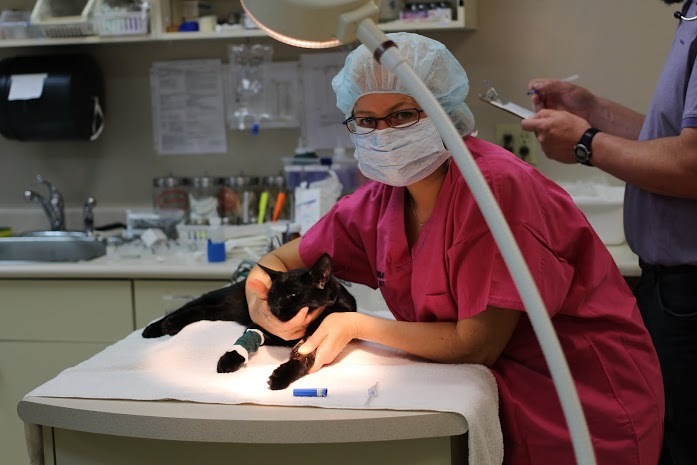 Dr. Irene O’Brian getting kitties ready for their surgery. 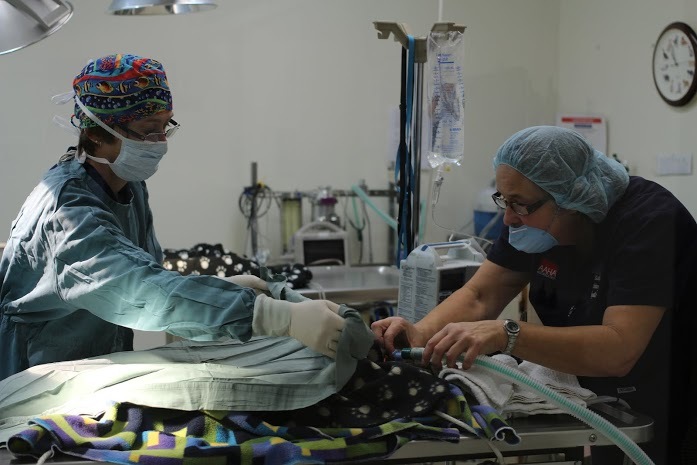 Dr. Chris Armstrong begins an ovariohysterectomy/spay on one of the female cats. Getting inked! The final step before the recovery room is an identifying tattoo in the ear for each cat. 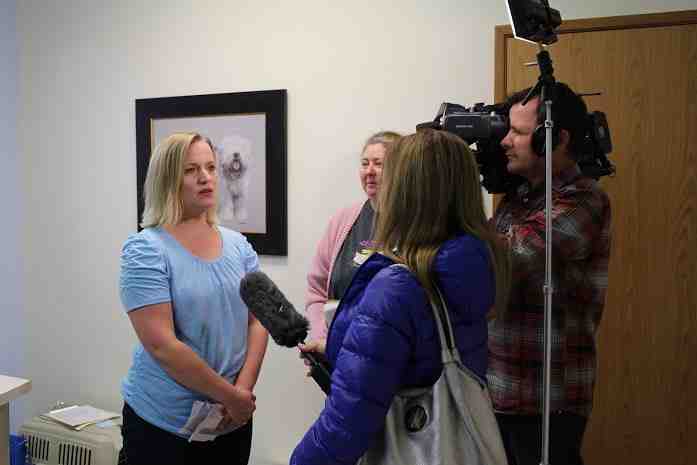 Kathy Powelson, Executive Director of Paws for Hope, is interviewed by Global TV news along with Alannah Hall, Chair of VOKRA’s Board of Directors. 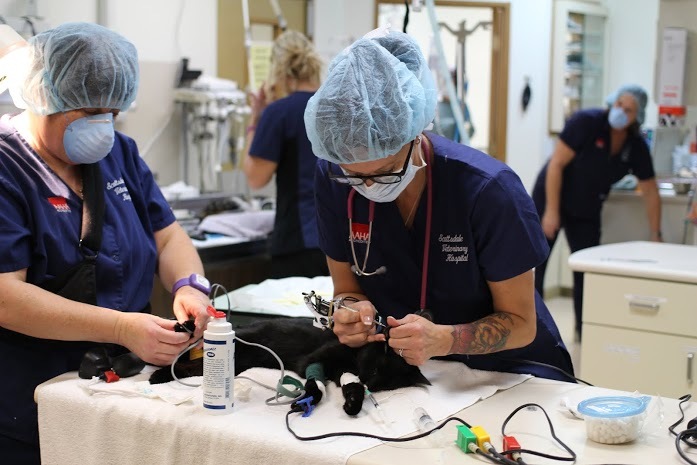 Thanks to Paws for Hope, Scottsdale Veterinary Hospital, and VOKRA, 30 cats are now fixed and won’t be contributing to the overpopulation problem. Speaking of contributing, you can help us provide more services like this and improve the lives of Lower Mainland cats and their owners by making a donation to VOKRA. With your help we can end the suffering of cats and kittens due to overpopulation in Surrey. Please click here to visit our website and donate today! « Meet the Calendar Girls and Boys of VOKRA!